Party General Secretary and President Nguyen Phu Trong and a high-level Vietnamese delegation paid a state-level visit to Cambodia at the invitation of King Norodom Sihamoni. During his visit, the Vietnamese top leader held talks with Cambodian King Norodom Sihamoni and attended a banquet at the Royal Palace. He also had separate meetings with President of the Cambodian Senate Samdech Say Chhum, President of the country's National Assembly Samdech Heng Samrin and Cambodian Prime Minister Samdech Techo Hun Sen, who is also President of the Cambodian People's Party. He laid flowers at the Norodom Sihanouk Monument while visiting Queen Mother Nordom Monineath Sihanouk. Party General Secretary and President Nguyen Phu Trong (right) and DPRK Chairman Kim Jong Un. Chairman of the WPK and Chairman of the State Affairs Commission of the DPRK Kim Jong Un, with a high-ranking DPRK delegation, paid an official visit to Vietnam on March 1-2. During his stay, he held talks with General Secretary of the Communist Party of Vietnam Central Committee and President Nguyen Phu Trong, as well as met with Prime Minister Nguyen Xuan Phuc and National Assembly Chairwoman Nguyen Thi Kim Ngan. On the occasion, Chairman Kim Jong Un and the DPRK’s high-ranking delegation paid tribute to late Vietnamese President Ho Chi Minh at his mausoleum and laid a wreath at the Monument to Heroic Martyrs. The second DPRK – USA Summit was recently held in Vietnam’s capital city of Hanoi on February 27-28. President of the United States Donald Trump and Chairman of the Workers’ Party of Korea (WPK) and Chairman of the State Affairs Commission of the Democratic People's Republic of Korea (DPRK) Kim Jong Un had a very good and constructive meeting over the two days, discussing concrete steps towards denuclearisation. 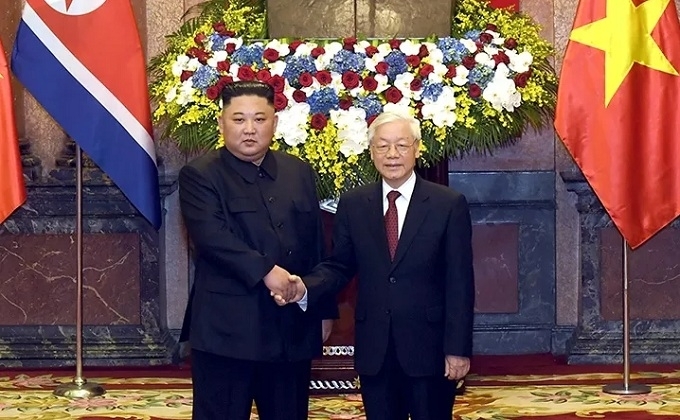 Though no agreement was reached at the Summit in Vietnam and no joint statement was issued, the two sides look forward to meeting in the future. Party General Secretary and President of Vietnam Nguyen Phu Trong had talks with US President Donald Trump on the occasion of the second DPRK – USA Summit in Hanoi. The two leaders agreed to foster mutually beneficial partnerships in all fields, including economy, trade and investment. Vietnamese PM Nguyen Xuan Phuc also hosted his meeting with US leader, affirming that Vietnam always attaches importance to the comprehensive partnership with the US. 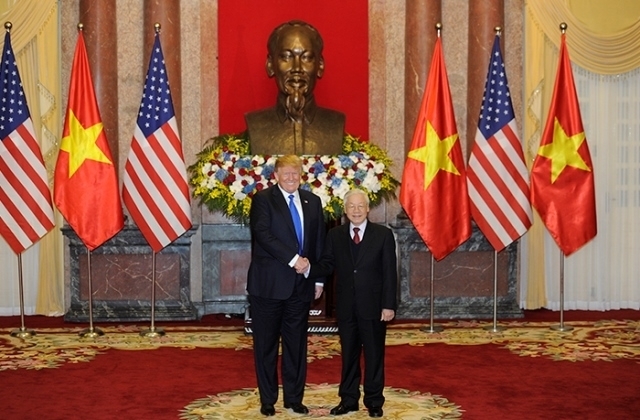 Four cooperation agreements between Vietnam and the US worth a total of about US$21 billion were signed in Hanoi under the witness of Party General Secretary and President Nguyen Phu Trong and US President Donald Trump. The agreements included a US$12.7 billion contract for 100 new 737 MAX planes and a US$5.3 billion agreement on long-term service maintenance of the LEAP-1B engine signed by Vietjet Air with Boeing Commercial Airplanes (BCA) and the US’s General Electric Group, respectively. Bamboo Airways, Vietnam’s newest carrier, also signed a near US$3 billion contract to buy 10 Boeing 787-9 Dreamliner wide-body jets with the US group. The national flag carrier Vietnam Airlines and Sabre Corporation (SABR) inked a US$300 million deal, expanding their existing strategic cooperation in aviation information and technology. 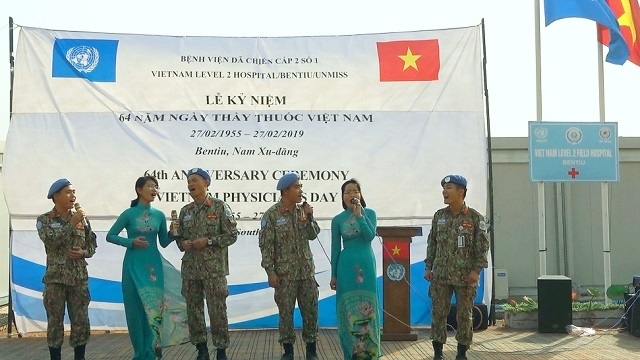 A wide variety of activities were held across the country to celebrate the 64th anniversary of Vietnamese Doctors’ Day (1955-2019). On the occasion, doctors and medical staff nationwide were honoured and received best wishes from Party and State leaders. notably, officials and staff members of Vietnam’s level-two field hospital in South Sudan held a ceremony at the base in Bentiu of the UN Mission in South Sudan (UNMISS) to mark the Day. Vietnam finished third at the 2019 AFF U22 Youth Championship after overcoming hosts Cambodia by a narrow margin at 1-0. The late goal was scored by substitute Le Xuan Tu. U22 Indonesia claimed the championship title after beating Thailand 2-1 in the final match.